So, the two organs that get the highest rating on the ick factor are probably the two that make you, your sexiest version of you. The liver and the bowel. Not something you want talk about on your first date, eh? Your lovely liver cleans all of the toxins out of your bod and decides which nutrients get to stay for digestion. So, not only does it remove all the gunk it clears the way for the light to shine through. When it is overloaded with debri (from food choices, environment, medicine, extracurricular activities) it can’t filter out all of the crap and your bile ducts get jammed up. A jammed up, fatty, and faltering liver is a precursor to bad things. We don’t want bad things. We are going for radiant health here: awesome digestion, weight loss, glowing skin, high energy, happy thoughts and a general sense of amazingness is the goal. Here is an easy peasy step that you can do regardless of where you are at in your journey to health. I over looked this for years because it was, well - too simple. Once I incorporated it into my diet I immediately lost a few of my puff pounds and felt a nice giddyup in my step each morning. Your liver is one of your first lines of defense against the world. 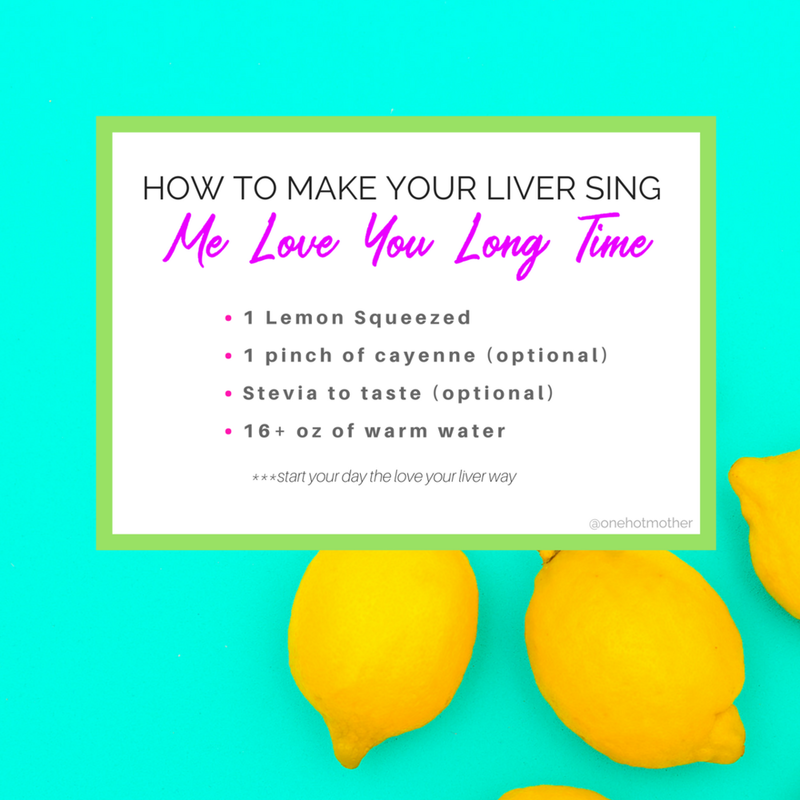 So, for the love of your liver. Take care of it!